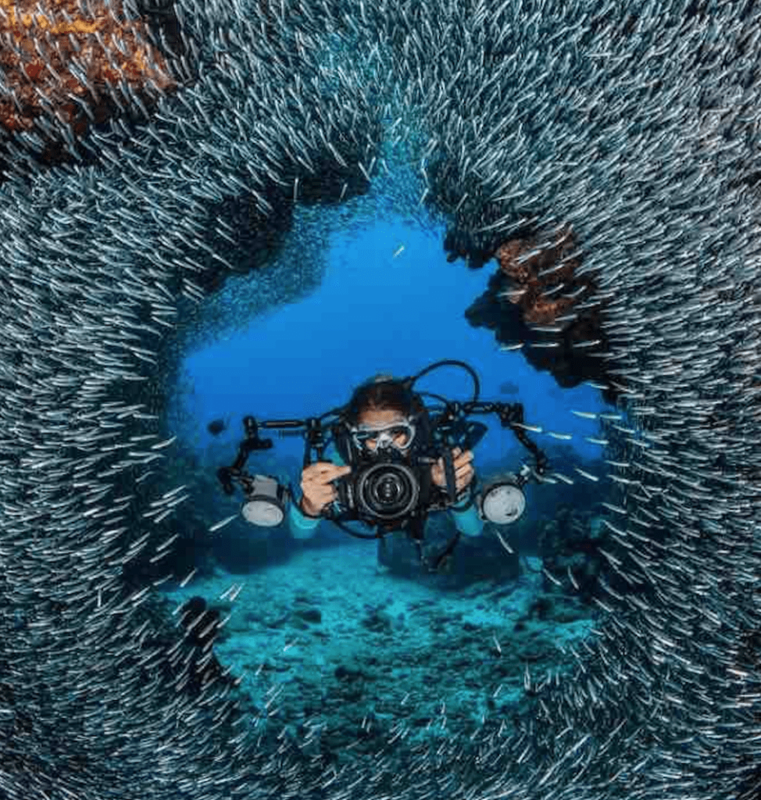 Diving in the Cayman Islands is an incredible experience, with magnificent marine life, stunning reefs and exciting sites to be seen, it’s no wonder it has become one of the world’s top dive destinations. The three islands of Grand Cayman, Cayman Brac and Little Cayman sit on the tips of an undersea ridge which plunges in places to more than 21,000 feet, providing spectacular walls and drop-offs. The warm, clear, calm waters together with an incredible variety of marine life make our seas an amazing diving experience. Each of the three islands offers its own unique underwater adventure and there are a number of dive schools to help novice and experienced divers get the best from the estimated 365-plus sites – at least one for every day of the year! Not only can you explore the many natural wonders, such as swim-throughs, sheer walls and brilliant coral formations, two manmade sites are also waiting to be explored. Off West Bay on Grand Cayman lies the USS Kittiwake, a former United States Navy submarine rescue vessel, 55 feet down in a marine park. It was deliberately sunk in 2011 to provide an artificial reef. Sitting on the sandy bottom the wreck is home to a growing number of fish and sea life. 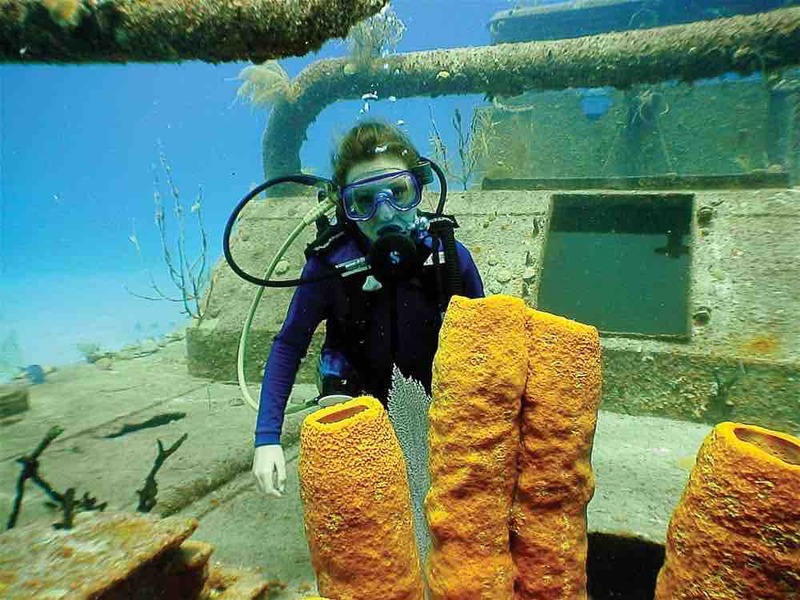 Meanwhile in the waters off Cayman Brac, the Captain Keith Tibbetts, a 330-foot-long frigate built by the Soviet Union for the Cuban navy, has been attracting divers for 20 years since it was also deliberately sunk to create an artificial reef. It’s now home to thousands of brilliantly-coloured fish and a variety of sponges. On Little Cayman, Bloody Bay Wall is rated as being the most spectacular site on all three islands, plunging down thousands of feet. 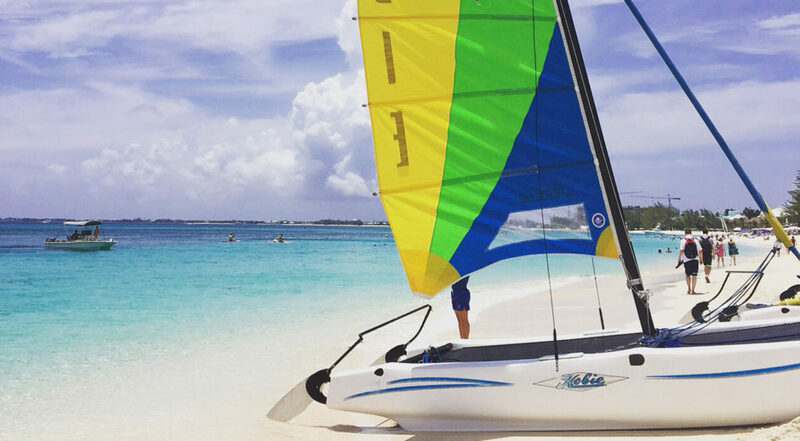 But Cayman’s best known site, for diving, snorkeling and simply taking a tour, has to be Stingray City, a sandbar where the Atlantic Southern Stingrays congregate in shallow waters just inside the reef. Tour boat captains ferry visitors out to the site for the experience of a lifetime, giving you the chance to handle and feed these gentle creatures. A rare and special experience. 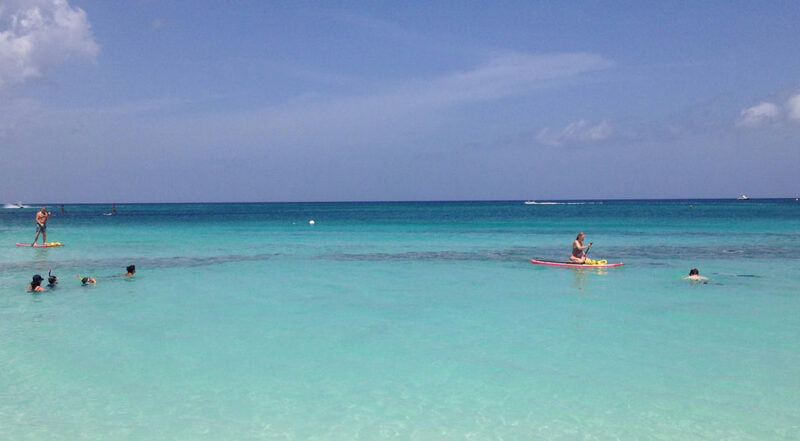 If you’ve enjoyed diving in the Cayman Islands, you should definitely give stand up paddle boarding a go – read more here!